In many marriages, one spouse relies on the other’s income to survive. It could be because he or she manages the home full time, or because he or she has a condition that prevents him or her from earning a substantial salary. Whether the dependant spouse is male or female, he or she may be entitled to alimony after a divorce or separation. 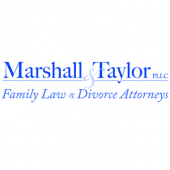 Raleigh alimony lawyers Marshall & Wakefield, P.C., know how important a fair alimony arrangement is for both parties. We are committed to educating our clients about their rights and defending them aggressively in court. To learn more, call our offices at 919-833-1040. We can also help you build a strong legal case, whether you are trying to receive alimony or facing unfair demands from a former spouse. The laws regulating alimony are very complex, making it hard to protect your rights and understand your obligations without legal assistance. The judge will consider many factors, such as the supporting spouse’s income and the dependant spouse’s needs. If he decides that it is fair for the dependant spouse to receive alimony, he or she may give the option of paying the amount owed in one lump sum. More often, however, alimony is paid in regular amounts once a month. To discuss your case with an experienced Raleigh alimony lawyer, contact the [firm-name], at 919-833-1040.